Border of Italy and Austria, 450 km. 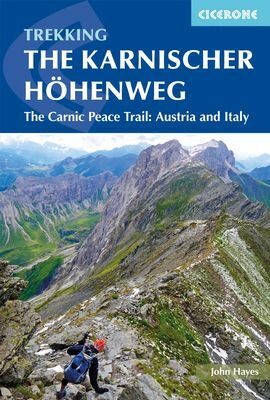 The trail follows the heavy fortified frontier line between Austria and Italy in the First Worldwar, From the Tonalepass to the Mamolata. partly it runs together with the European Long Distance trail E5. You might need a dictionary, but then, this website gives you detailed information on the "Peace Trail". Does someone know where to find a book withnde details of this trail?